Members have access to all 25 skills, including the 16 free-to-play skills, and 9 additional skills, and more items that F2P can’t use. For example, Dragon platelegs for Defence, Magic Trees for Woodcutting. Agility:Allows players to use shortcuts and increases the rate at which energy recharges. Certain pieces of equipment such as the Crystal bow also requires certain agility levels to wield. It is also used to enhance several other skills, such as allowing the player to catch multiple fish at once. Herblore:Allows players to clean grimy herbs and to make potions which can be used to boost/restore skills.Certain potions also have other specific uses to players such as curing poisoning, protecting from dragonfire without an Anti-dragon shield, or restoring health at the cost of offensive stats and are sometimes necessary for survival. Also the higher the herblore level, the more untradable and powerful potions the player can make. Thieving:Allows players to steal from market stalls, chests and certain non-player characters and other players in Stealing Creation and to lockpick doors. Fletching:Allows players to create projectiles such as arrows, bolts, and darts and bows/crossbows which can be used for Ranged. Slayer:Allows players to kill certain monsters using tactics not used in normal combat. Useful in raising combat skills. Has the potential to give very rewarding drops unique to slayer monsters. It is also helpful in the minigame Soul Wars. Farming:Allows players to grow plants such as fruits, vegetables, herbs, or trees in certain patches across the world of RuneScape. Farming is notably very useful for collecting many common and rare herbs for Herblore. Construction:Allows players to build a house and its contents, such as chairs, tables, workshops, dungeons, and more. Every players house is located inside its own instance, separated from the rest of the game. Portals around the world are used to gain entry into the player’s own house, and to gain access to other players houses, allowing anyone to gain access to some of the very useful, high level rooms and furniture. Some very popular and useful house features include Teleport Tabs and Portals, storing of many costumes, play-fighting other players, Gilded Altars for huge prayer training bonuses, and much more. Hunter:Allows players to track, net, deadfall, snare, and trap animals for their hides, abilities and treasures. Some of the animals caught can be used in other skills. For example, Red Chinchompa can be used as a ranging weapon, and salamanders can be used as a weapon in all three attack styles. Summoning:Allows players to summon familiars and pets to enhance gameplay in both combat and non-combat skills. Certain familiars can also hold additional items, allowing players to hold more than 28 items, and allows for an expanded pet list. Magic could be an Artisan skill because of Enchantment, Superheat Item and Lunar spells. It could also be a Support skill because of Teleport spells a commonly used method of travel and Alchemy spells. Summoning familiars have a wide variety of abilities.Although most are designed to help with combat, several have gathering based abilities not considered Gathering because you don’t take anything from the environment,others Artisan abilities, and others help with traveling, making them have Support abilities. Nowadays, there are more and more people like play runescape game. And they want to challenge higher levels. 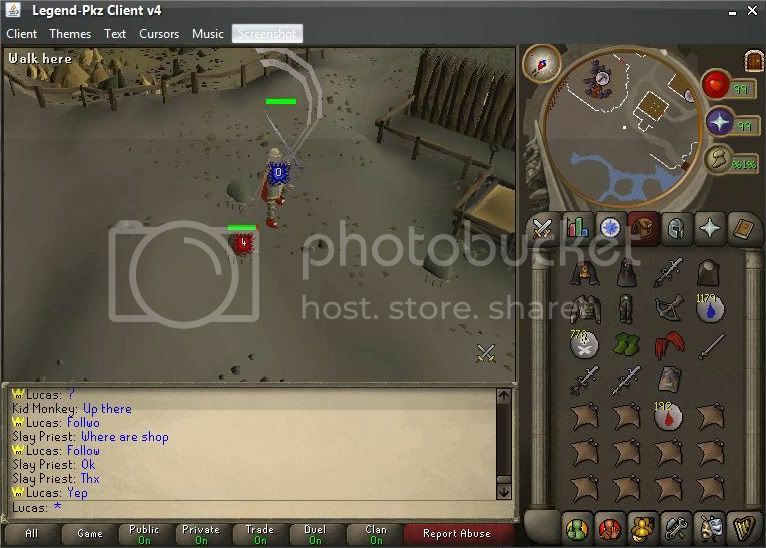 Generally, you can make Runescape Gold through playing the more items and sell them, but it will take you more time.In the game,in order to highlight figures,you need to spend a lot of time and money.You will need to Get enough Runescape Gold.